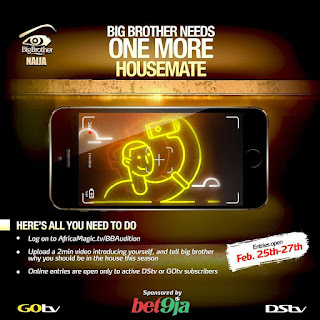 2019/2020 Big Brother Naija (BBNaija) Calls for Auditions, Dates, Time and Venues of Audition Across Nigeria [FREE OF CHARGE]. 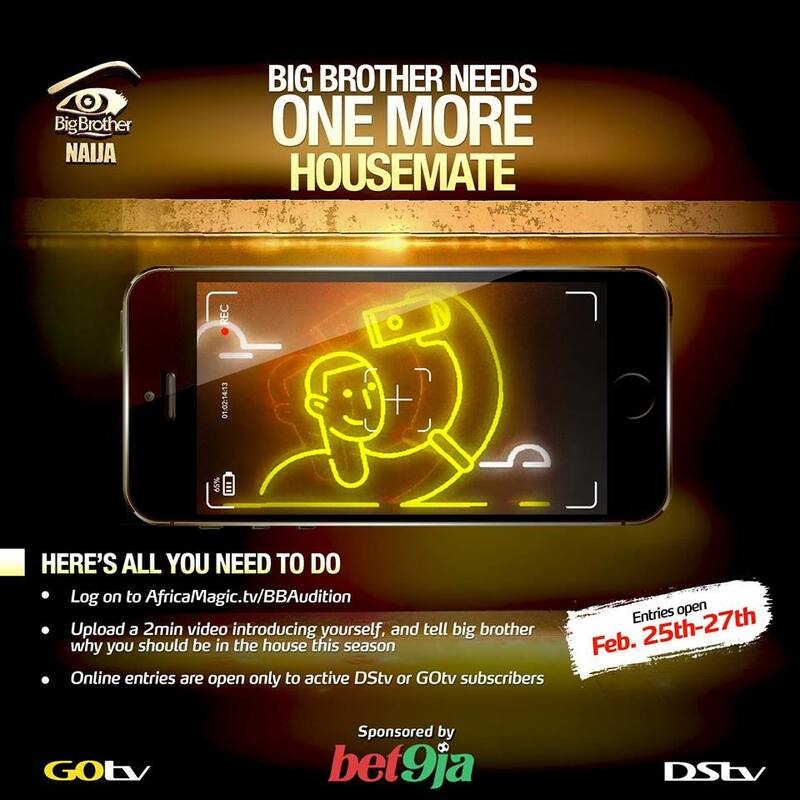 The fourth season of the Big Brother Naija reality show (One of Nigeria’s most popular reality television show) will be staged in Nigeria. This will mark the second time the Nigerian version of the reality television show will be shot outside South Africa since it began in 2006. Latest Update: BIG BROTHER NEEDS ONE MORE HOUSEMATE!!! Upload a 2min video introducing yourself, and tell big brother why you should be in the house this season. Entries Open from February 25th - 27th, 2019. Big Brother Naija Audition Application Guide.